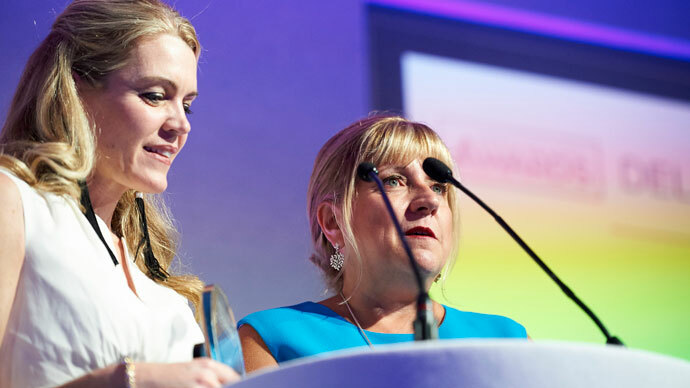 In the build up to the 2019 World Post & Parcel Awards, we take a look back at some of our previous winners and look at what winning at the Awards has meant to them and their businesses. In this post we talk to Lise Côté, GM Consumer & Small Business Marketing at Canada Post, winner of the Delivery on Demand Category in 2018. Canada Post won the Delivery On Demand category at the World Post & Parcel Awards 2018 for designing a range of innovative online tools to assist small businesses to access shipping and marketing solutions. “Small businesses are starved for time and simple tools and solutions help them better engage with Canada Post. Research revealed that our online tools for small businesses were outdated and did not offer the desired experience we wanted to provide our small business customers. To make it easier for businesses to interact with us online and to make the process barrier-free, we designed shipping and marketing solutions which were specifically catered towards small business needs. We designed and developed Snap Ship through an iterative approach based on explicit feedback from our small business customer base. We built a prototype to meet the needs of our customers and those of our competitors, using an agile model that would allow us to continuously refine the solution. Snap Ship was built by customers for customers. The development of the new tool was customer-driven from end to end, as we sought input across each stage. We initially released the tool as a pilot and then soft launched it as the technology stabilised. This approach enabled us to first communicate with our existing customer base, and then with other small business owners through and extensive go to market plans. Some of the benefits to small businesses of using the new applications are integrated parcel pickup, best value indicator, simple user interface, ability to comparison shop rates, and visibility into accurate service commitments. Since launching the service less than a year ago, over 40,000 business customers have accessed and used the tools and the overall online tool usage has increased by over 63%. For Canada Post the introduction of Snap Ship has resulted in cost savings. Specifically, as more small business customers transact with us online, it is reducing the cost of serving them through our Retail offices. As well, the improved end-to-end experience has decreased the number of inquiries to our customer service group. In addition to Snap Ship, small businesses can access our simplified online marketing tool Snap Admail to create a highly-targeted direct mail campaign in under 10 minutes, without leaving their computer. Customers can choose from free templates or use custom artwork, while we take care of the printing and delivery. Our customer first approach to developing the tools made sure all elements were thought through when creating a shipping label or a marketing campaign. The customer’s feedback through the process uncovered things we may not have thought of ourselves. Entries for the World Post & Parcel Awards 2019 open from 3 December 2018. If you have been inspired by Canada Post’s story, why not enter your organisation for the Awards in 2019? Visit www.wppawards.com and share your success in mail and express!